The society has always admired and appreciated those individuals whose strong will and vivid imagination have generated something really elegant and sophisticated. Christian Louboutin, a famous French footwear designer, is a perfect example of such a personality. The fashion world hasn’t yet managed to fully enjoy Louboutin signature high heel footwear with red soles, when in 2014 he launched a line of nail polish collection. A year later, in 2015 the fashion world is amazed at Christian Louboutin abrupt transition from nail polish to chic lipsticks. 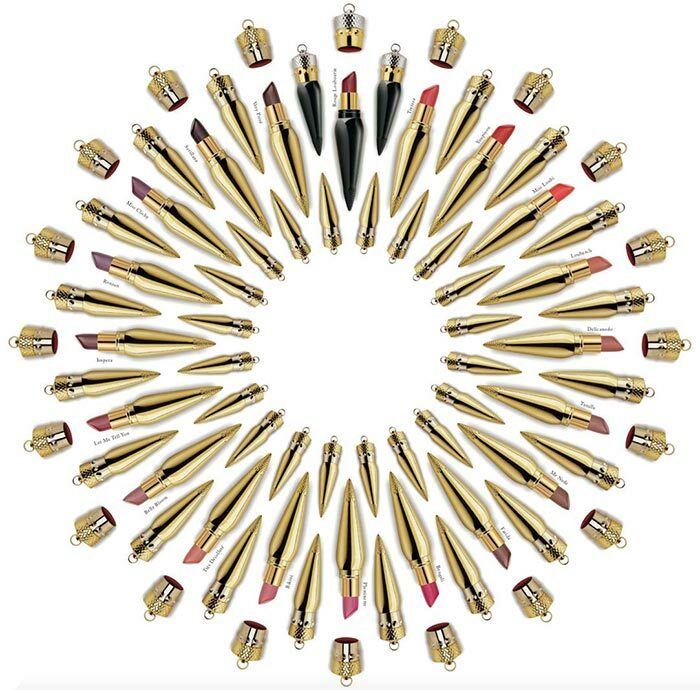 According to the fashion guru, the new line of Christian Louboutin lipsticks has been inspired by Babylonian architecture, Queen Nefertiti of Egypt and the Art Deco movement. The new line comes with 36 shades of high-end lipsticks available in 3 textures: Silky Satin, Velvet Matte and Sheer Voile. Let’s agree that without even seeing the shape or the color of the lipsticks, the names themselves are a real motive for us to obtain the little treasures. 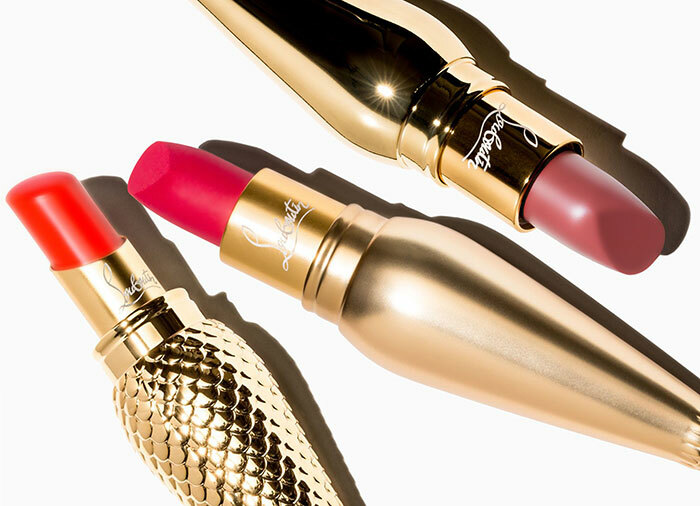 The Silky Satin line of Christian Louboutin lipsticks features 20 shades providing from medium to full coverage lip color with a satin finish and light shine. Velvet Matte and Sheer Voile lines include 9 shades each. Apply Velvet Matte on your lips and the mirror will reflect your Babylonian mysterious image, while with Sheer Voile lipstick on your lips you will get chances to attract loads of attention due to its radiant shine. And of course each line also features Louboutin’s signature Rouge shade to remind us of the chic red-soled shoes every time we do our makeup. 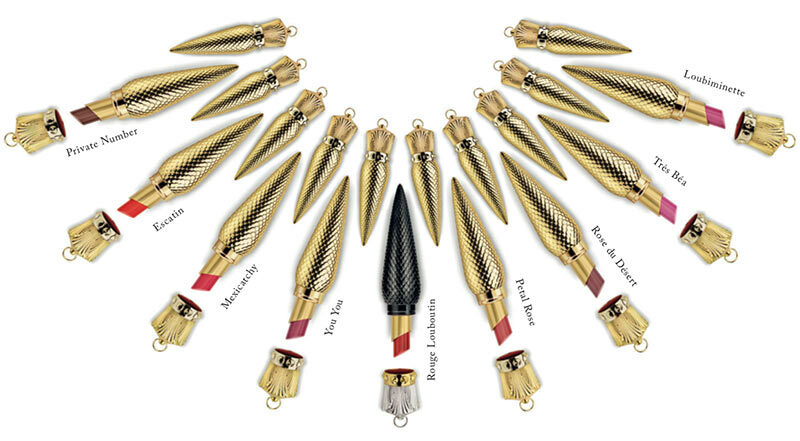 Apart from the rich texture and diverse colors Christian Louboutin lipsticks stand out with their glam exterior design. 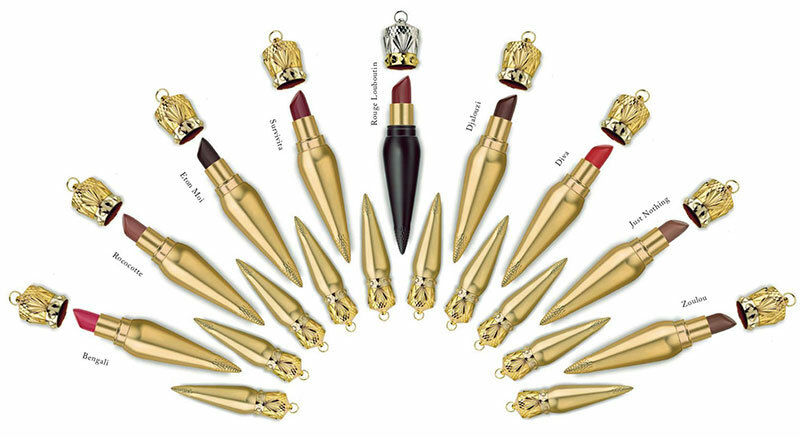 Rouge shades come in black lacquered packaging, while others are captured inside gold ones. The shape of the packaging reminds of a cone and at the top of the cap you can notice a little ring, through which you can thread a golden or black ribbon to use it as a necklace. Imagine you are at a party with a cone-shape necklace and the next minute you are standing in front of the mirror tinting your lips using the same necklace. As natural as it may seem to you, Christian Louboutin lipsticks aren’t too affordable, as each color retails for $90. The line will be available in September at Saks Fifth Avenue and on Christian Louboutin official website. As Louboutin himself describes, “after the eyes, lips represent the most expressive element of the face,’ and while his nail polishes come to put the focus on your well-groomed hands, these amazing lip colors will only enhance your beautiful facial features with a sensual touch.